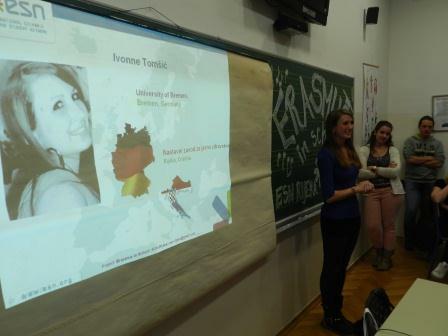 My name is Ivonne Tomsic and I’m 25 years old and from Germany. I’m studying Public Health in Bremen. Everyone who studies Public Health has to do a placement in the 5th semester. 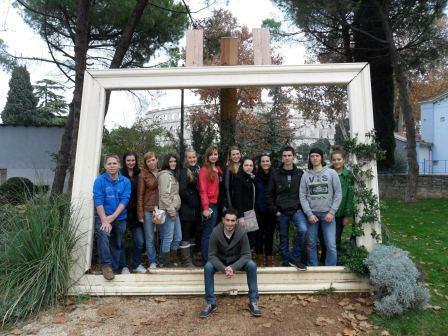 We get the opportunity to acquire practical experience by doing an exchange semester abroad. At the beginning, I wanted to choose another country for my placement. However, from 3rd September until 7th December I’m on a placement in the Teaching Institute of Public Health in Rijeka, Croatia. I’ve decided to go on Erasmus because I’ve heard great stories from friends who have already experienced it. They told me that they’ve made many new friends and they had the best experience ever. For me it was really important to make friends during my placement. I was a little bit scared to end up all alone because it’s not so easy to make new friends during a placement compared to studying at a university. Why did I choose Croatia? I chose Croatia because I’m half Croatian. My dad is from Croatia and every summer I spend my holidays in Rijeka. I’ve always wanted to stay in Croatia a longer period of time, to live “a real Croatian life”. It really was the best decision to do my Erasmus in Croatia and do the internship at the Teaching Institute of Public Health. If I had a chance, I would do the same again. In the Public Health Institute everyone is really friendly and helpful. I change departments every 3 to 4 weeks, which is great because I get to see so many different things and now it’s totally clear for me that I want to work in this field. I think this placement in Rijeka will help me in my future career. I was able to practice my English and Croatian language skills because at my workplace I mostly speak Croatian, and in my free time, which I spend with my new Erasmus friends, I mostly speak English. I’ve also become more independent and open during my placement period, which is really important for my future career. The best thing during Erasmus was that I’ve made a lot of new friends from all over Europe. I’ve never felt alone and everyone was very helpful. I think I’ve made friends for life. My wish for the future? I wish to stay in contact with all my new friends and maybe one day I’ll visit them on my trip around Europe. In the future, I really want to support the Erasmus initiative at the University of Bremen, to make the Erasmus period for other students as amazing as mine. 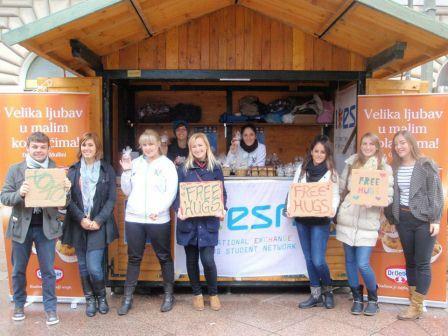 ESN Rijeka is so great. They’ve organized so many nice things and spent their free time with us. Thank you for that, I hope I can do the same for the Erasmus students in Bremen because everyone should have such a great experience. At the moment, I’m a little bit sad because my placement and my amazing Erasmus time will end soon. But what do people say? Once Erasmus, always Erasmus! I hope Erasmus will never end!